This solar project is part of a $4.65 million energy improvement program that should eventually result in a reduction of $583,000 in annual energy costs — about a third of the College’s utility bills. The project was developed after President Kenneth Garren signed the American College & University Presidents’ Climate Commitment, which aims to eliminate global warming emissions. 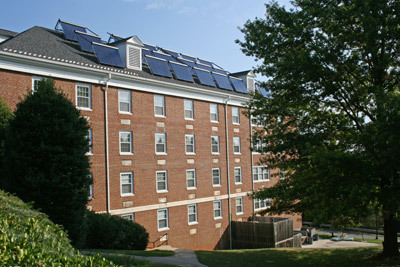 The College saved nearly $225,000 in energy costs during the 2010-11 academic year compared to the previous year, thanks in large part to campus-wide retrofits. Check out coverage in LB, Lynchburg’s Business Magazine.